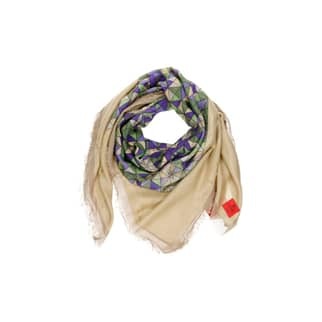 Signature square Silk & Modal scarf. Mosaic pattern in green and purple printed on a blush background – stitched to a modal blush backing with eyelash edging. Each item is unique and delicate. Scarves are hand dyed so there may be variations in dyes and prints. Made in India.